The rural Kenyan county of Taita Taveta, almost equidistant between Nairobi and Mombasa, is best known for the renowned Tsavo West National Park. Tour guides, not techies, rule the roost here. David Ogiga, executive director of Sote Hub, is doing his best to change that. For the last five years, Ogiga and his team have been working with high schools in Taita Taveta to integrate ICT into education, training students in both soft and hard skills. 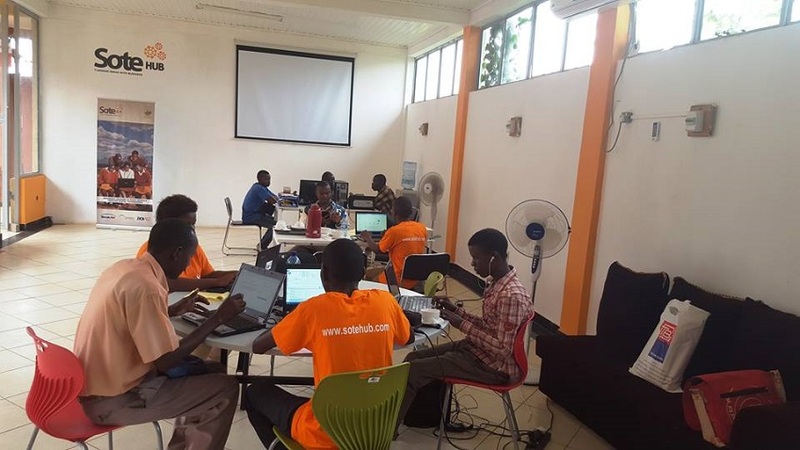 Late last year, Sote Hub opened a business incubator for graduates, exposing them to mentorship, training, and networking opportunities over a 12-month period. Through this, Sote Hub hopes young entrepreneus can turn their ideas into viable commercial entities, creating jobs for themselves and others. “Our approach is a direct pathway from ‘high school to business owners,” Ogiga told Disrupt Africa. Sote Hub provides an open space for young innovators and startup companies, especially aimed at high school graduates. “Ordinarily, high school graduates would struggle to find employment or start a business,” Ogiga said. Among other things, Sote Hub offers seed capital of up to US$2,200, full use of the working space, facilities and internet in the hub, advice and guidance from experienced business mentors, the chance to network with angel investors, accounting at discounted rates, coaching in presentation skills, and intellectual property management. The hub has 18 startups registered for incubation over the next 12 months, building apps and solutions in health, technology, design, environment, education, entertainment, transport, security, property management and media. “The focus is on rural schools with no or limited ICT exposure, but the biggest added value is the ability to combine the concepts of student ICT clubs, practice companies and international student cooperation, and to provide continuous support to both educators and students,” Ogiga said. The Swahili word “sote” means “everybody” in English, and Ogiga said this describes the hub’s philosophy of inclusion and its search for high social returns. He said the project has so far impacted 5,000 students and 200 teachers, while also donating hundreds of computers, multimedia equipment, software and tools. 28 student practice firms have formed. Sote Hub has been funded for the last five years by grants from Slovak Aid, but Ogiga said there is potential for a partnership with USAID. He also hopes to scale the concept outside o0f Kenya. “We would like to scale to Rwanda, Tanzania, South Africa and Ghana over the next five to 10 years. The education systems in most Sub-Saharan African countries do not invest in skills development as the focus is in providing the prerequisites of a white collar job in the formal and urban sector. Sote Hub addresses this shortcoming,” he said. Though funded by grants thus far, Sote Hub has registered a for-profit company, Sote Ltd, which will manage consultancies, research and businesses from the hub. Profits will be reinvested in the project and expansion plans.